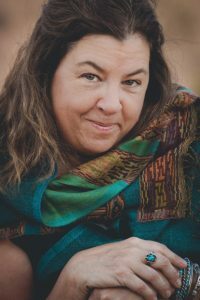 Poet Rebecca Hennessy will be featured in the upcoming Rice Pudding Poetry Series on Thursday evening, January 31. She will share the stage with a group of community readers, including Patrick Healey, Shelley Girdner, Jen Onken, Agnes Charlesworth, and Mike McGrail, who will read published work from a variety of poets on the theme of “Rupture and Repair.” Rebecca will highlight work from her first collection of poems, Tangle of Bone, a chapbook published by burst & bloom that includes images by Monhegan-based papercutting artist Dylan Metrano. Singer-songwriter Guy Capecelatro will also be performing in this evening’s poetry and music event. Rebecca Hennessy studied writing and geology at the University of Utah before moving to New Hampshire. She is a garlic farmer, business owner, and mother. After focusing on other things, she has returned to writing poetry and creative nonfiction. Her chapbook is the result of her recent collaboration with Metrano. A prolific singer-songwriter, Guy Capecelatro is the winner of five Spotlight awards for his albums as well as an Inspiration Award from Portsmouth Public Media Television in 2018. He is the author of the Some Women and Cape Breton Poems, and his poems have appeared in numerous literary journals. The evening begins with live music, refreshments, and conversation at 6pm. The reading starts at 6:30pm. This event is free and open to the public, and seating in the upstairs library is limited. A book sale and signing will follow the reading. Rice Public Library is located at 8 Wentworth Street in Kittery. Parking is available in the lots on either side of the Rice Building, or across the street in the Taylor Building lot. Call (207) 439-1553 for more information. Our illustrious NH Laureate, Alice B. Fogel, will be hosting a poetry workshop this Saturday, Feb 2nd from 10:30-2:30! Hosted by the Wheaton Writing Academy, it is located at the McConnell Center in Dover, NH ~ suites 240 and 246. She will be leading a workshop for poets at any level who want to have fun taking their poems to another level! She’s especially interested in pushing at the many effects we can get from both careful and carefree language choices–including words, syntax, sounds, rhythms, associations, metaphors, images, and emotions. Come make some new drafts,and take some old drafts further. Bring writing implements and some drafts to play with. To REGISTER: send an email to wheatonwriter@gmail.com. Payment for the workshops can be made to Wheaton Writing Academy through paypal at wheatonwriter@gmail.com , by check or by Venmo.